Introducing the newest lighter innovation from S.T. Dupont, the Slim 7! The Slim 7's name is derived from the fact that its the thinnest lighter on the market with a thickness of on 7 mm. This impressively thin light emits a powerful flat torch flame, keeping up with its compact appearance. With S.T. Dupon engraved on the side, you know this Slim 7 is nothing but reliable whenever a light calls to you. 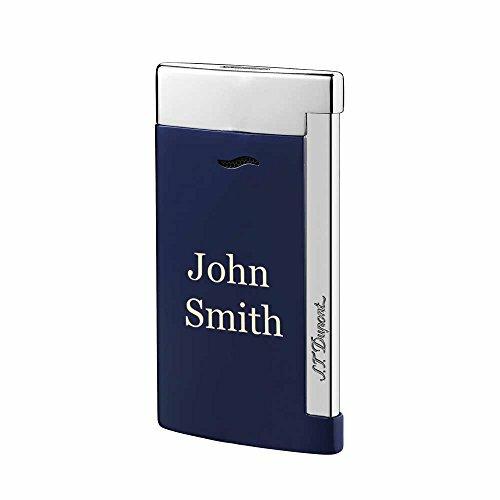 Custom printing is offered on this sleek lighter for a touch of personalization!